Well, it’s almost time for the Geeks’n’Nerds Fair to begin. Grab that landmark because at midnight the sim will be open and ready for you to shop your little tushies off. Until then, here’s another sneak peek. 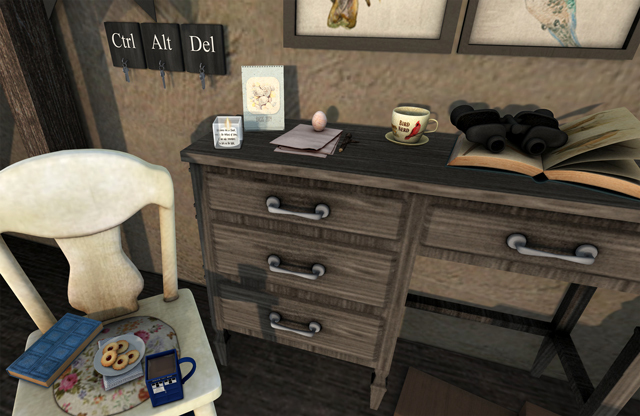 This is a closer look at Sari-Sari’s tea set and Lark’s bird nerd set. 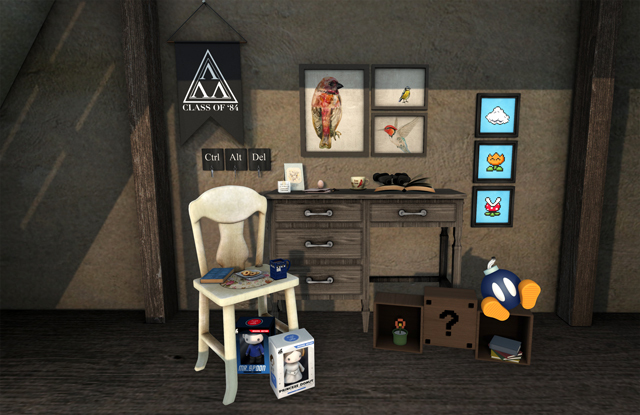 All items on the desk (minus the candle) plus the wall art are sold individually as well as in a complete set which includes the desk and chair. Nerdy With A Touch Of Geek.